We are just a few days away from Christmas. I am way too excited for it not only because it is my favourite time of the year, but also because I will finally be able to have some free time to do the things that I enjoy the most. Even though most people are as excited as I am, we are all quite stressed because we still need to buy some presents. As I mentioned in my last post, I normally try to buy everything in advance, but I always end up being a last minute shopper. Gift guides have saved my life so many times and for this reason I thought I could write one now in case you need some help with your presents. Lush Cosmetics is one of my favourite brands. I have tried so many of their products and I can’t recommend them more. They smell amazing and they work perfectly. Lush also makes sure they don’t harm the planet too much. Moreover, this is the perfect time of the year to buy some of their products because it is when they bring out their Christmas range. Last week I bought their Santa’s Belly, Star Light Star Bright and Butterbear apart from some other products from their core range. I still haven’t tried them but I feel like I’m going to love them so much. Have a look at their website or go to one of their shops (the staff is always very helpful and kind) because you’ll probably find something for your family or friends. Who doesn’t love a nice bath or even a shower? Even though it is quite difficult for me to find time to read nowadays, books are my life. I have been reading since I was a child and it’s something I think everyone should do. Books are the best way to learn and to be more tolerant and open-minded. For this reason, they could be a great present for anyone. I bought a new one recently that I want to share with you. 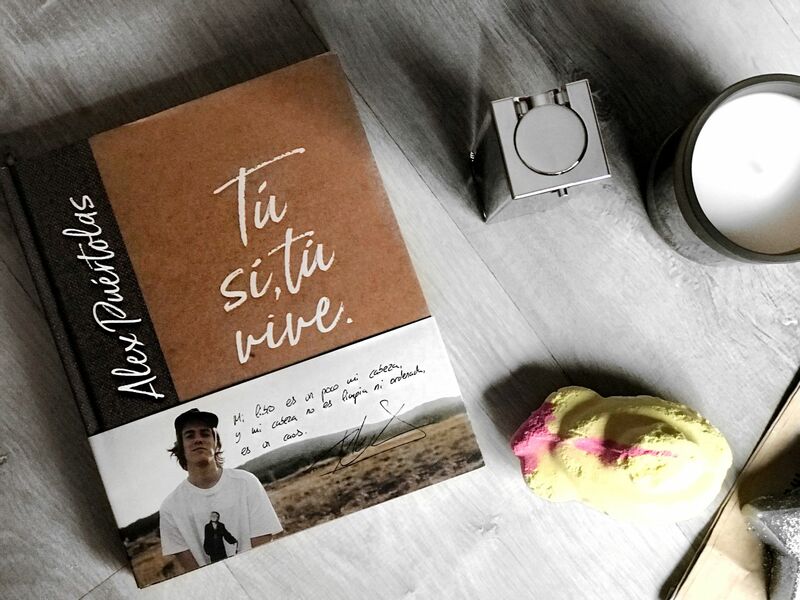 The title is Tu, Sí Tu, Vive and it has been written by a Spanish Youtuber called Alex Puértolas. I discovered him a while ago and I feel very inspired whenever I watch his videos. Now he has described his mind, which is quite chaotic apparently, in his new book. I haven’t finished it yet and I am not planning to do it any time soon as I feel like it is one of those books that you need to read VERY slowly. If you can read in Spanish or the person you are going to give it to can, you should definitely give this book a try. You won’t regret it. Candles are another obsession of mine. There are lots of different ones to choose from with so many different scents. For this reason, you will be able to find the perfect one for literally anyone. If you want to get one with a warm and woody scent, I strongly recommend Molton Brown’s Tobacco Absolute Scented Candle. I actually got it as a present and I love it. The fact that it is tobacco scented can sound a bit weird to be honest. However, even though I hate tobacco, I like this scent because it literally has nothing to do with how a cigarette smells. 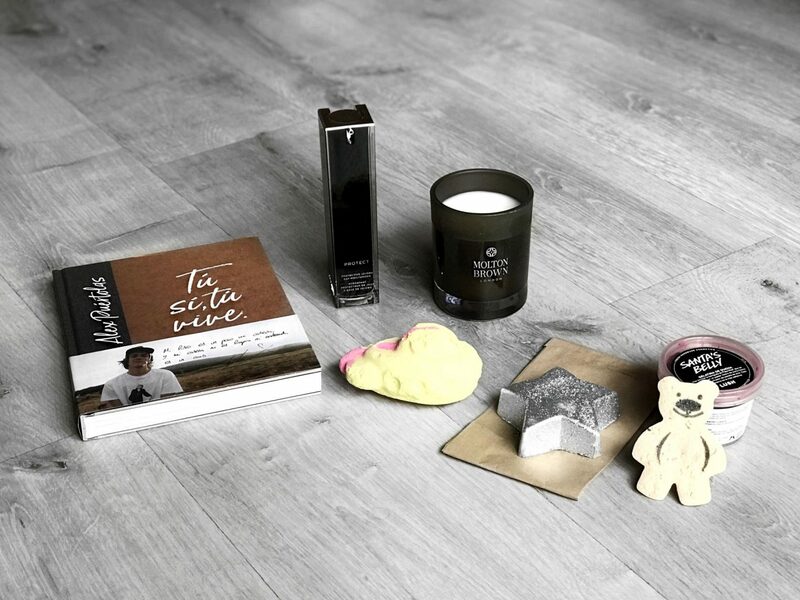 You can also find many other candles and fragrances on their website. Another great brand for candles is Jo Malone. I have never owned one myself, but I have smelt them in the past and I love them. I have talked a lot about makeup recently and you already know what I think about men wearing it. You have lots of different brands available. However, if you are looking for one that specialises in men’s makeup, check out MMUK. I’ve actually been lucky enough to be able to try lots of their products. All of them are really good, but my favourite ones are their Under Eye Liquid Concealer and their own foundation. They are very easy to apply and they hide all those imperfections you don’t want to show when you go out for a few drinks. I think they can be a great gift for any man who is interested in makeup. Grooming products can also be the perfect gift for many people. I have shown you lots of them in the past, so make sure you check out older posts for some ideas. Among my recent pickups you can find another MMUK product, which is their Jojoba Day Moisturiser. It is very light and it works very well for my skin type. I also love the packaging because it looks very elegant and luxurious. Also, although I talked about it in a post already, I have to recommend Murdock London’s Sea Salt Styling Spray again. It could be a really good gift because it works with any kind of hair and could be used by anyone. Winter fashion is great because you can wear lots of layers, but also because you can wear accessories such as scarves. I have found one from Granted that could be perfect if the person you are buying for likes streetwear. However, there are also some amazing ones on Ssense including one from Alexander McQueen that I personally really like. It is just a matter if finding the one that you think he or she would wear. I must say that a piece of clothing can be quite risky, so you may need another kind of accessory. For example, you could get him or her one of these Macbook sleeves. I know it will still be difficult to choose the perfect present for each member of your family and for each friend. However, I hope I have been able to help you a little bit. You should use this post as a way to inspire you, let’s say. Also, if you are the kind of person that has already bought everything, feel free to share any other ideas in the comments. They might be useful for other people. Previous Post What Kind of Gift Giver Are You?